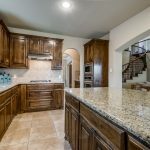 If you’re looking for space in Little Elm or the West Frisco area, this 5 Bed, 3 Bath home is made for you. 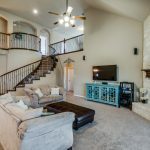 With a spacious 3,877 sq ft on the inside and one of the largest lots in the neighborhood, you will have plenty of room to relax, unwind and enjoy your new home. 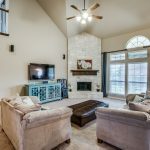 You’ll love the location with the Frisco ISD elementary within walking distance! Enjoy time outdoors with a pool, playground, & jogging trails bringing you out to breathe in the fresh air and take in the beauty of nature. You will enjoy the spacious chef’s kitchen with a large prep island and butler’s pantry when you invite friends and family over for a fun, festive gathering. 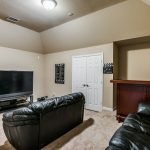 You’ll love it too when it’s just a movie night at home and you’re popping popcorn to take to your media room and game room for some downtime or family memories. With a first-floor master retreat, you will find solace in your own sanctuary to recharge and unwind from your day. This home is ready for you to call it yours. 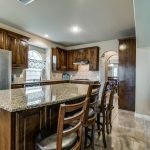 Contact us today at 214-267-9222, email us at home@vanpoole.com or view more about this home here and connect with us through this website. Learn more about the home and click here. Ready to envision yourself in Little Elm and learn more about the local fabric? Little Elm, TX has grown A LOT in the last 20 years. With a population of just over 46,000 and lots of new businesses in the area, you will have access to so many great features and amenities for you to enjoy. Love a community with activities year round? You’ll be thrilled to see the Town of Little Elm’s Calendar of Events. 1 . Brew & Que – Local BBQ and Craft Beers. Need we say more? 3. Christmas at the Lake – It’s a perfect family-friendly festivity to make cherished memories. I mean real reindeer and Santa… it’s perfect and not overly crowded. Other areas to make sure you don’t miss? Little Elm’s Sandy Beach at Little Elm Park – with volleyball, firepits, campgrounds, walking trail and a boat ramp! Pick any park on the lake! You’ll love it! So many trails to enjoy and great play areas too. 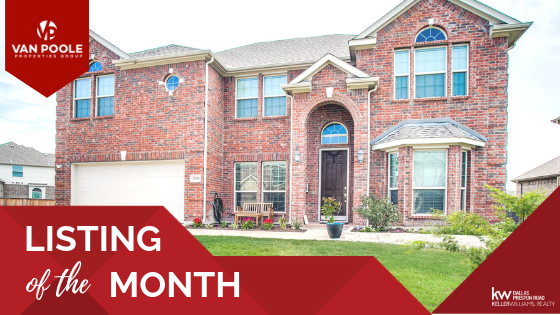 We think you’ll love living in Little Elm and hope you enjoy the big, small-town feel. Contact us now for more information at 214-267-9222.